visBoxplotAdv is supposed to visualise a data frame using advanced boxplot. 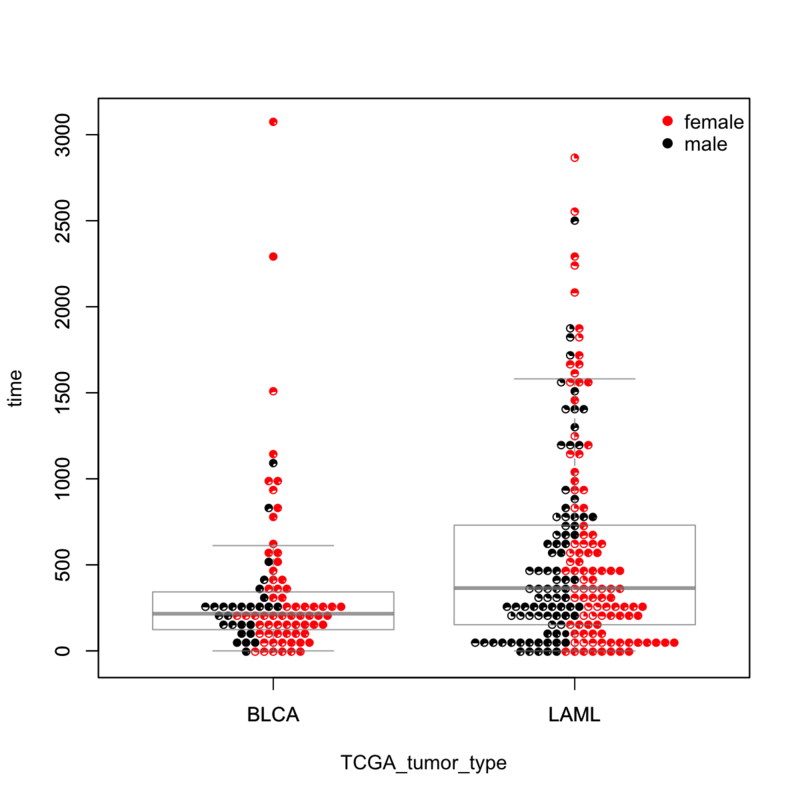 In addition to boxplot, a scatter plot is also drawn with various methods to avoid co-incident points so that each point is visible (with fine-controling the color and plotting character). Also, these points can be pies or thermometers, which allows an additional proportation data to be visualised as well. a data.frame (or list) from which the variables in 'formula' should be taken. # only tumor types "LAML" or "BLCA"